The Ultimate Triathlon is Luke’s biggest test yet. 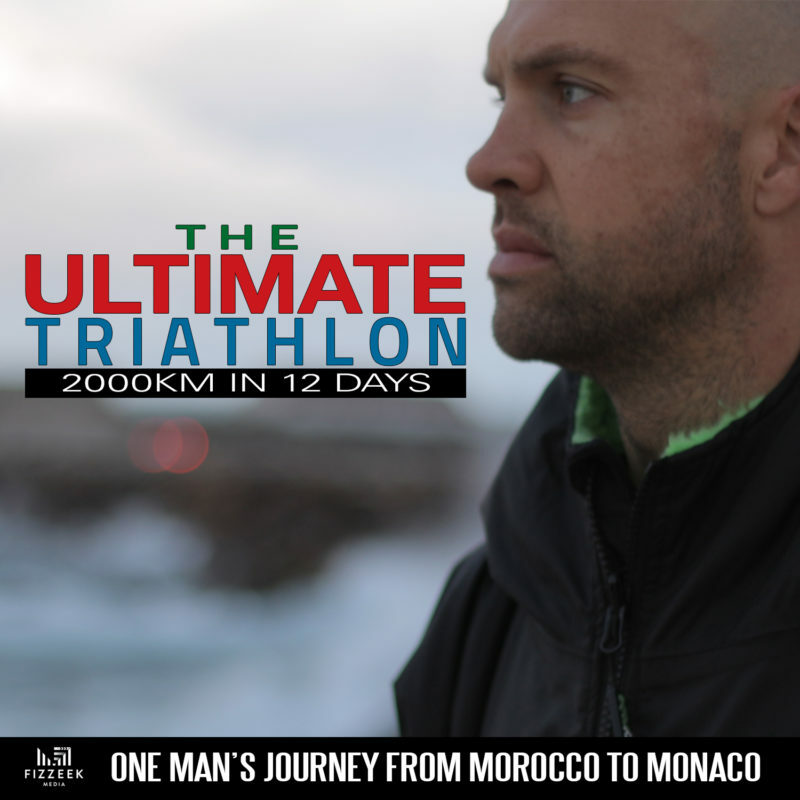 An insane 2,000km multi-sport course from Morocco to Monaco to be completed in just 12 days, it’s devilish detail is all Luke’s own invention and it’s execution is all his to complete alone. Experienced athletes have repeatedly told Luke it’s impossible and can’t be done. He’s out to prove the doubters wrong on this endurance journey of a lifetime in a quest for his limits, his future and his sanity. Swimming from Africa to Europe, cycling the entire coast of Spain and running the full coast of France, the Ultimate Triathlon is the story of one man’s exceptional journey in a bid to reclaim his ordinary life. If you want to read more about Luke’s preparation for the Ultimate Triathlon, you can check it out on the EtchRock blog here. 18th September: Olympic Cinema, Barnes, London. 19th September: Digme Fitness, Richmond, London. 27th September: MAC Theatre, Belfast, NI. 28th September: Bingham Hotel, Richmond, London. 29th September: Hatfield Cycles, Hatfield, Hertfordshire. 5th October: Cube Cinema, Bristol.